Built in 1943, by Reliable Welding Works Incorporated of Olympia, Washington as the ST-166 for the United States Army. In 1948, the tug was acquired by the Foss Maritime Company of Seattle, Washington. Where she was renamed to Gary Foss. In 1949, she was acquired by Pacific Towboat and Salvage Incorporated of Long Beach, California. Where she was renamed to Pacific Rocket. In 1972, the tug was acquired by the Northwest Diesel Repair Company of Seattle, Washington. Where she was renamed to Bronco. In 1974, she was acquired by Dunlap Towing Company of Everett, Washington. Where she was renamed to Swinomish. Powered by a single, Caterpillar 398D diesel engine. With Caterpillar reduction gear, turning a single fixed pitch propeller, for a rated 850 horsepower. Her electrical service is provided by a single, Delco generator set. 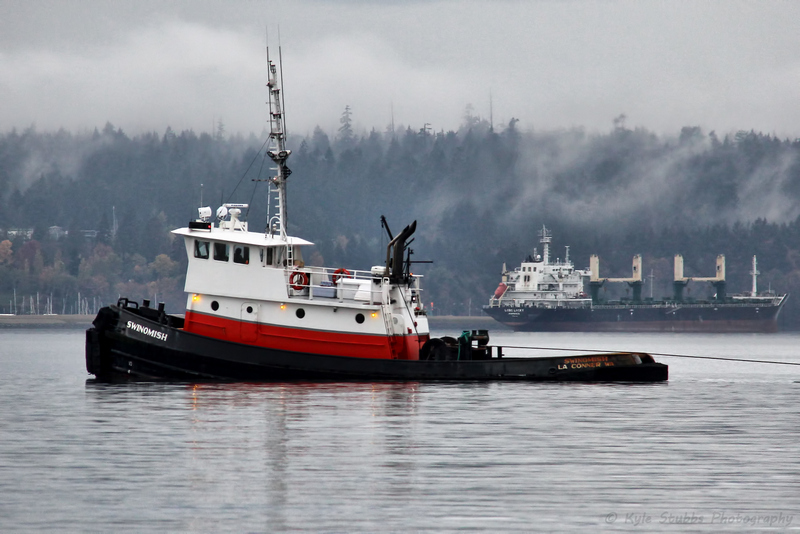 The tug's capacities are 9,500 gallons of fuel oil. The tug's towing gear consists of a Rowe towing machine. Outfitted with 1,474(ft) of 1.25(in) towing wire.